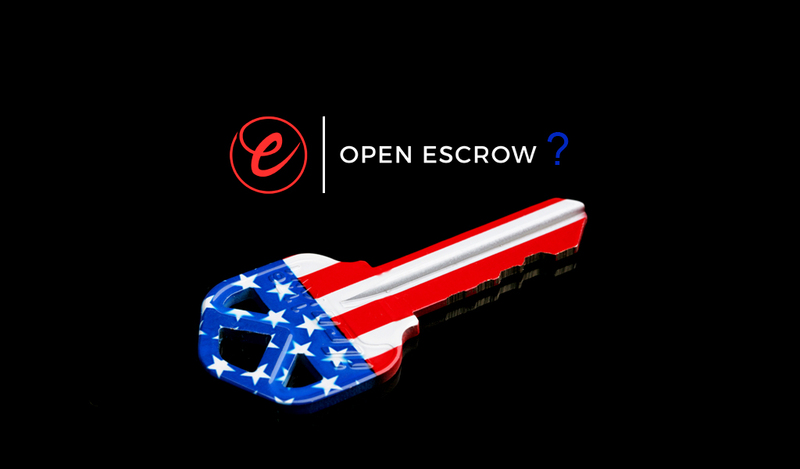 When Does Escrow Open, How Does Escrow Work? Business dictionaries define “Escrow” as a financial arrangement between two parties allowing a third party to hold the funds. Specifically, refers to a business transaction. Normally, when one party purchases something from the other party. Escrow holders open a separate account in a bank or other financial institution to hold the funds until the purchase completes. The terms and conditions of a purchase contract determine when the funds go to the seller. The escrow holder abides by the purchase contract. All types of business transactions use escrows. For instance, the sale of securities (stocks, bonds, etc. ), commodities, vehicles, vessels, and legal rights (copyright, trademark, patent, etc.). Escrows usually occur when a large amount of money passes from the buyer to the seller. Protection of the funds falls upon the escrow holder who abides by the purchase contract and escrow instructions. Knowing the funds safely held “in escrow” provides assurances to the parties that upon fulfillment of the contract the seller gets paid. And the buyer receives the goods, products, or title to the object of the contract. This eliminates fraud and theft of the funds. The purchase of real estate involves large amounts of money requiring an escrow process. The State of California sets forth the legal requirements for a real estate escrow process. In a Nutshell: The buyer’s funds go to the escrow holder rather than directly to the seller. The real estate purchase contract sets forth the terms and conditions for the title to pass onto the buyer. Escrow holders make sure all of the terms and conditions fulfilled before transferring the funds to the seller. Upon closing, the escrow holder files the required documents to legally pass title from the seller to the buyer. Purchaser and Seller Agree on Terms – The sale of raw land, home, condo unit, commercial or business property, etc. to the buyer where all conditions and terms in a signed purchase contract. Purchaser Opens Escrow – The buyer selects a title or an escrow company and agrees to a payment method for services. Often performed by the selling agent on behalf of the buyer. Escrow Holder Opens File – The escrow holder opens a transaction file containing all relevant information regarding the parties, agents, property, attorneys, lender, etc. Initial Deposit Check – Either the buyer or the selling agent delivers the initial down payment check (also known as “earnest money”) to the escrow holder. The funds placed in a separate escrow account with a bank or financial institution. Buyer Accepts Seller’s Disclosures – The listing agent obtains a Disclosure Package from the seller. These disclosures include known flaws within the property, prior repairs and/or improvements to the property, and potential environmental hazards. Buyer reviews and signs off on the disclosure package. Buyer Inspections Occur – The buyer elects to hire a professional home inspection company as agreed to in the purchase contract. All inspections must finish by a designated date in the purchase contract. Common inspections include a general contractor inspection, roof, pests, chimney, electrical, plumbing, and sewer inspections. Post-Inspections Corrections – After receiving the various inspection reports, if the report indicates flaws or other problems the buyer has options. Buyer elects to demand repairs or credit towards buyer’s closing costs or reduction in the sales price to perform repairs after closing. Sellers may agree to buyer’s demands, offer a different solution, or refuse to make amends. In response, the buyer either continues negotiations, accepts the seller’s position, or terminate the transaction and recoup the earnest money. Lender Actions – Unless the purchase is an all-cash offer or seller financed, the buyer applies for a mortgage loan with a lender. The lender conducts an appraisal of the property to determine its market value. Upon approving the buyer’s mortgage, the lender submits documents and instructions to the escrow holder. Homeowners Insurance – Lenders normally require the buyer to purchase a homeowner’s insurance policy (except for raw land). This protects the lender and future mortgage payments if the home suffers substantial damages. The escrow holder receives verification of the homeowner’s insurance coverage. Title Search – Prior to the closing, a property title search investigates that the seller is the owner, whether any liens or encumbrances exist on the property. If the property is “clear” a title insurance policy is issued. Pre-Closing – Finally, the lender sends the loan documents to the escrow holder. The escrow holder prepares a HUD-1 Settlement Statement for the seller and for the buyer who separately reviews and sign their agreement. Closing costs typically include the real estate agents commissions, attorney’s fees, loan fees, title fees, recording fees, and other settlement charges. Deed Recording – Once all costs paid and balance of buyer’s funds ready for the seller. The escrow holder files the title deed with the appropriate municipal or government agency who records the new title holder. Funds Dispersed – After the recording of the title deed, the escrow holder pays the seller all funds due to complete the purchase. Closing – The official transaction closing occurs after the recording of the deed and funds disbursement when the buyer takes possession of the property. The question, “When does escrow open, how does escrow work?” answered here explains the entire escrow process. Escrow opens after a real estate purchase agreement signed by the seller and a buyer delivered to an escrow company. Escrow works under California real estate escrow process rules as explained here. Open Escrow in San Diego by Contacting Us.